As a blogger, I know the power of the audience. It's you readers out there that make me want to blog, and make me want to make quality blog posts! Don't our children need this same sense of audience to motivate their writing? I think so! 1. Share in Class! Have one child read his/ her story to the class. The class is expected to listen and ask questions that "prove they were listening." This works well when the child is "mid-story" in order to get ideas on where to go from this point. 2. Small Group Shares! Have children work in groups of 2 or three to share their stories as above. 3. Share Your Best Sentence! I like this one because there's usually enough time for each child to share one sentence. If the children know it's coming, that helps motivate the children to work on the quality of their sentences. 4. Share With Someone Else in the Building! There are lots of adults in an elementary school who would be thrilled to "play along" with this one! It's a great motivator to promise a child that he can read his story to the custodian, or the secretary, or the cafeteria workers. It's a win-win! 5. Share With Another Class! Plan to get together with another class in your own grade, or another grade to pair the children up for a big share! There are advantages to each age group: older, younger, or peers! 6. Skype! - Do you have a class with whom you Skype? 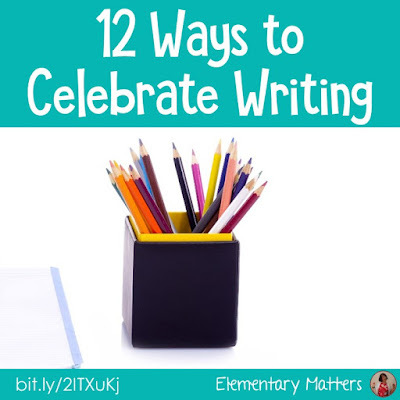 What a great opportunity for children to share their writing! 7. Write Letters! 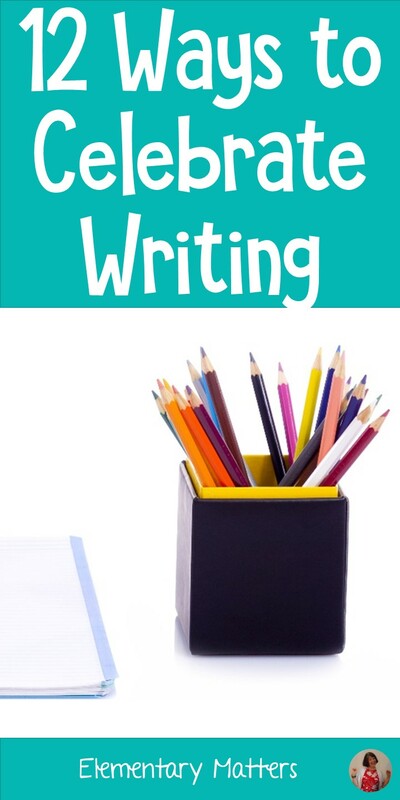 See THIS BLOG POST for the benefits of letter writing and a freebie! 8. Bulletin Boards! Post the children's writing on the wall for others to see! 9. Class Books and Newspapers! These will be read by classmates (and parents) over and over! 10. Publish! It's amazing how special it makes a story when it's typed up and a fancy cover is put on it. I allow students to take out each others' published books for Independent Reading time. It gets really interesting when we're talking about Author's purpose... the author is sitting right there in the classroom! 11. Have an "Author's Tea"! Invite parents, grandparents, and administrators, and give the children an opportunity to read one of their stories to the group. This can be as simple or as elaborate as you make it. 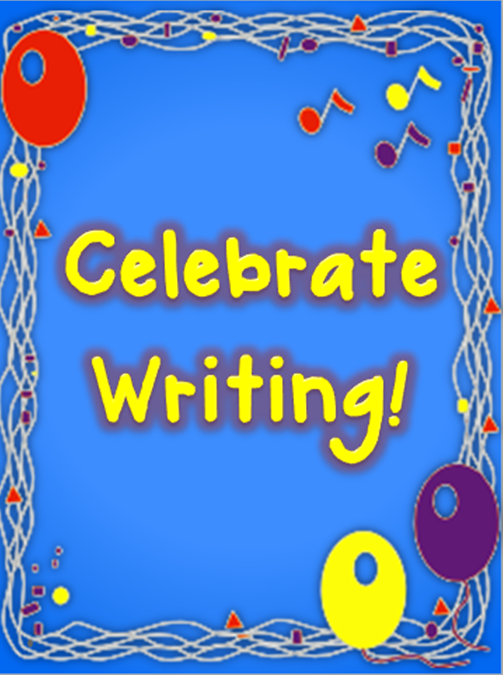 It's a great opportunity for a party, and a great opportunity to motivate your young writers with a live audience! 12. Have a Class Blog! I have to admit, I've never done this, but I'm planning to start a class blog very soon! Imagine the thrill to see your own written work displayed on the internet! Wait... I know what that's like, and that's why I can't wait to give my students the opportunity to do the same! If you have a blog for your class, or know of one, I'd love some input! I have loads of questions and concerns, so I'm looking for examples and mentors in the Class Blog department! I love all these ideas, but especially #12! I've had a class blog for the last 2 and half years (with Kinder/First Graders) and I love it. At the beginning of the year (around now for me) it's mostly me sharing information with families - but I have students write in comments and share information. Later in the year we do put up more 'class' work to share with families. Hopefully they help a little bit! Wonderful ideas, Sally! Thank you for sharing! In the current times, the internet-savvy students don’t have to struggle hard to get noticed for their literary skills, because they can find plenty of web resources which allows them to buy essay online, and do well in their classes.